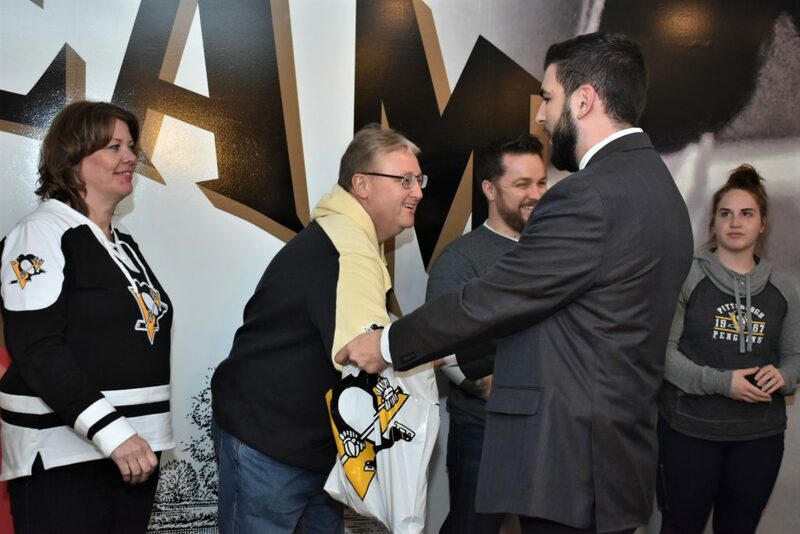 Dollar Energy Fund teamed up with the Pittsburgh Penguins to create the ultimate fan experience through our Fan Appreciation Night Raffle! 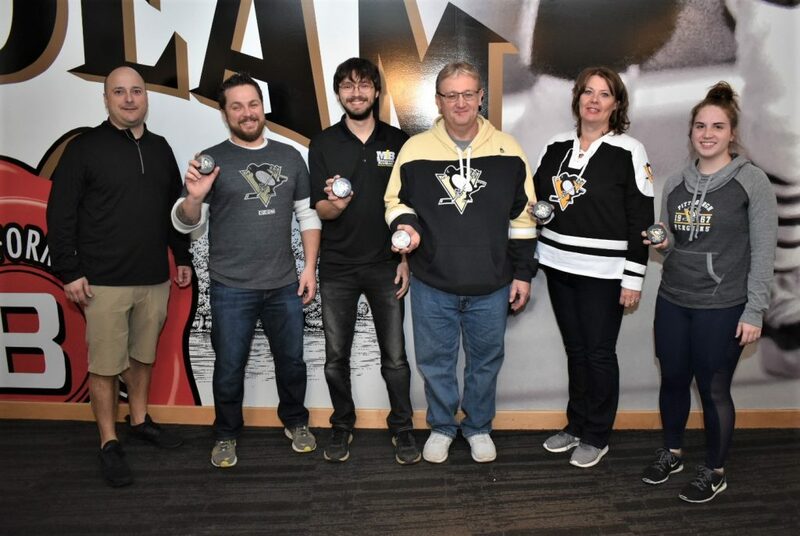 In March, Dollar Energy Fund staff sold raffle tickets during five Penguins games at PPG Paints Arena. Five finalists were selected from a pool of 800 entries for this one-of-a-kind opportunity. 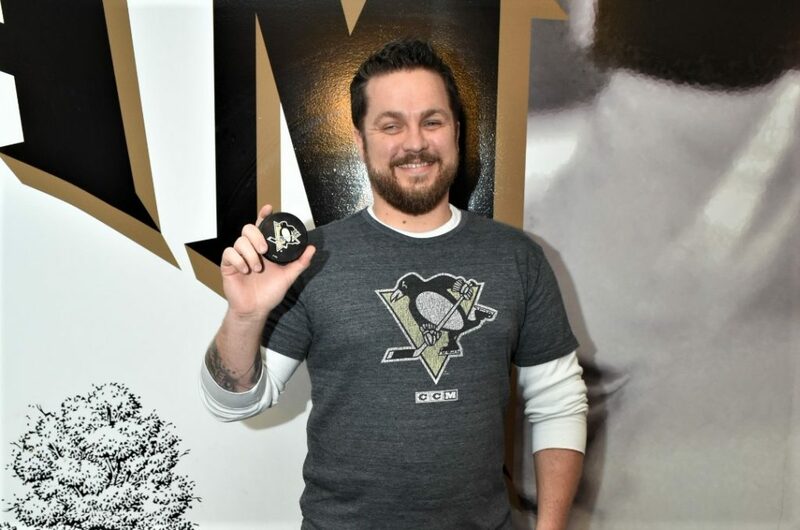 Each received two tickets to the Jim Beam© Make History™ Party Suite to watch the Pittsburgh Penguins vs. New York Rangers final regular season game on Saturday, April 6, 2019. One of our finalists was granted participation in the Shirts Off Our Backs selection process and guaranteed a trip down to the ice to meet a player and receive an autographed jersey. Our five finalists included Joe Delozier, Justin Matuszak, Dave Diamond, Patty Bennett and Randi Dickson. Before the puck dropped, each of them had the opportunity to reach into a gift bag and select a hockey puck. The bag contained four autographed pucks and one non-autographed puck. The person who received the non-autographed puck was our grand prize winner and was able to join the Shirts Off Our Backs selection process. Click here to see the finalists pick their pucks! 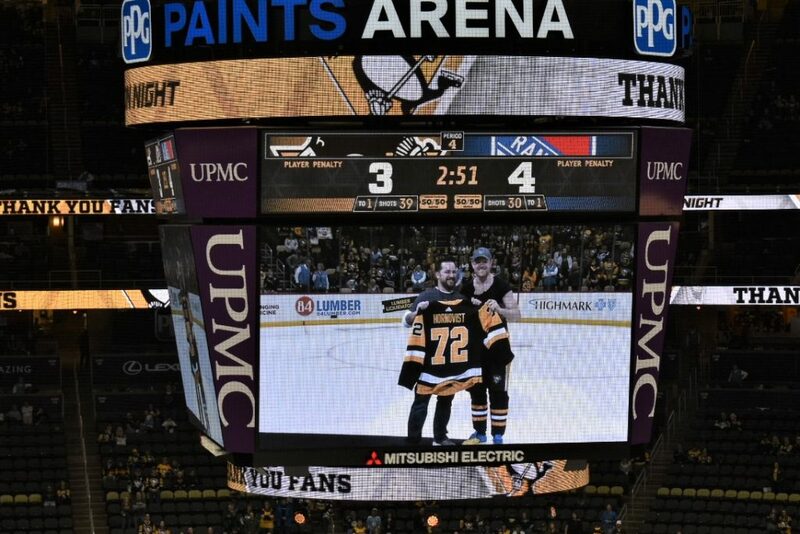 Dollar Energy Fund’s grand prize winner was Joe Delozier and, through Shirts Off Our Backs, he received Patric Hornqvist’s autographed, game-worn jersey on the ice. Congrats, Joe! Thank you to all of the Penguins fans who purchased raffle tickets. Each ticket resulted in a $5 donation for Dollar Energy Fund. The Fan Appreciation Night Raffle raised nearly $8,000 and all proceeds will be used to help our neighbors in need restore or maintain basic utility service.